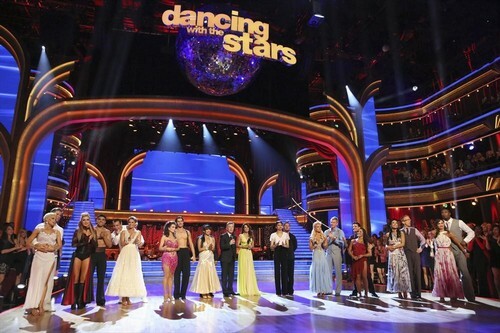 Who Got Voted Off Dancing With The Stars 2013 Tonight 4/9/13? Tonight on ABC it’s the Dancing With The Stars 2013 third Result Show of Season 16 and we will say goodbye to one more contestant tonight. On last night’s show the 10 contestants fought for their survival and danced to a song of the celebrities’ choosing that represented a memorable time or experience in their life. Did you watch the show? We did and we recapped it here for you. Did you miss any of the performances? We have all the videos here for your enjoyment. After last night’s performance at the top of the leader board are Aly Raisman and her professional dancer Mark Ballas. Tied at the bottom of the leader board are Victor Ortiz and her professional dancer Lindsay Arnold and Lisa Vanderpump and her professional dancer Gleb Savchenko. We conducted a poll today and 65.64% of viewers predict that Lisa Vanderpump will be the second celeb sent home tonight. Unfortunately the cookie doesn’t necessarily crumble that way and we’ve seen high scoring couples take the fall alongside low scoring couples. There is still time to vote in our poll, go HERE! On tonight’s show one couple will be eliminated on “Dancing with the Stars the Results Show.”. The show will feature music by country superstar Brad Paisley who will perform his most recent No. 1 hit, “Southern Comfort Zone.” And in their first national television appearance together, international superstars Andrea Bocelli and Jennifer Lopez perform a sensual new rendition of the classic Latin song, “Quizas, Quizas, Quizas,” featured on Bocelli’s new album “Passione.” Also on the results show, the female Pro and Troupe dancers perform a special opening number. We will be live blogging Dancing With The Stars tonight with all the up-to-the-minute details at 9PM EST so make sure to come back to this spot and watch the show with us. Refresh often to get the most up-to-date results! The encore dance for tonight is Alexandra Raisman & Mark Ballas doing their contemporary dance. If you missed the dance last night, you can see a VIDEO HERE!